This past Christmas Eve our dear friend Patty fell from her garage attic and severely shattered her leg. 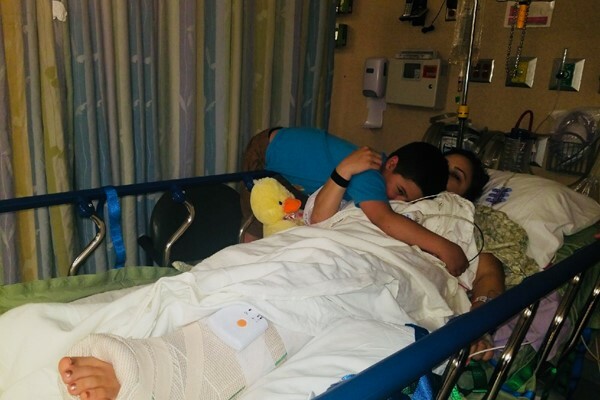 The recovery process has been grueling for both her and her family, with more uncertainty and bad news as time has passed. Prior to her first emergency surgery, her surgeons had not realized how extensive the break actually was. She had to undergo a second surgery shortly after. A couple weeks post-surgery they discovered she wasn't properly healing, so she was sent to a wound specialist. Her leg was starting to look and feel better once they found a way to aid the healing process. With the help and support of her friends and family, she was able to start physical therapy and go back to work on an adjusted schedule. After five months of trying to heal, she has taken a turn and doctors informed her that she will need more surgeries due to an infection. It is now unclear as to how long this healing process is going to take. As her family, friends and co-workers, we wanted to start a meal train for her and her dear family. This has been hard for all of them so we are hoping to alleviate some unnecessary stress, especially on David. Anything you can offer is greatly appreciated.